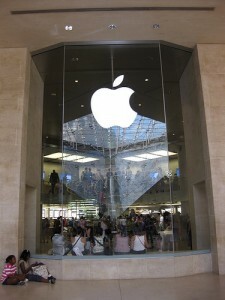 Apple Inc. (NASDAQ:AAPL) is in something of a dry spell right now. Excluding quarterly earnings releases, there has been a notable lack of official announcements or other events since the October slew of product unveilings that included the iPad Mini, fourth-generation iPad, iMacs, and 13-inch Retina MacBook Pros. In previous years, Apple would host an iPad event in the spring, typically in either March or April. When the company accelerated its iPad product cycle to October, the prospects of a spring refresh just months later became remote. With April quickly winding down, and no rumblings of a spring iPad event, investors are now looking at one of the longest lulls in recent years between announcements. Don’t just take my word for it; Business Insider put together a handy chart mapping out the days between events. Apple Inc. (NASDAQ:AAPL) has now set the date for its Worldwide Developers Conference, or WWDC, which will kick off on June 10. The WWDC opening keynote always includes hardware and/or software announcements, and this year will be no different. From the October event to WWDC, investors are looking at 230 days between product announcements — the biggest gap in years. Not all of the announcements have been major, such as the education-centric event in January 2012. Still, there used to be a consistent cadence of iPad, WWDC, and iPhone events spread out throughout the year. The lull is a natural consequence of refreshing almost all of Apple’s products over the span of six weeks. The WWDC keynote will undoubtedly feature software announcements, which will notably include details on how design chief Jony Ive is giving iOS 7 a much-needed makeover. It’s also entirely likely that Apple Inc. (NASDAQ:AAPL) will update its MacBook lineup like it did at WWDC 2012. The timing coincides with the timing of Intel Corporation (NASDAQ:INTC)‘s Haswell chips, which have already begun shipping to OEMs, and are expected to reach consumers’ hands this quarter. Apple is rumored to be preparing to ramp up Haswell-equipped MacBooks starting next month, which could pave the way for a WWDC MacBook announcement. However, Macs are now just 12% of sales, so this may not be the product catalyst that investors are really looking for. By the looks of it, new iPhones and iPads might have to wait. It’s been too long, Apple Inc. (NASDAQ:AAPL). The article It’s Been Too Long, Apple originally appeared on Fool.com and is written by Evan Niu, CFA. Fool contributor Evan Niu, CFA, owns shares of Apple. The Motley Fool recommends Apple and Intel. The Motley Fool owns shares of Apple Inc. (NASDAQ:AAPL) and Intel Corporation (NASDAQ:INTC).